Longer, wider, yet lighter than the third generation, Mercedes-Benz’s smallest sedan is totally redesigned for 2015. Built over the maker’s latest MRA platform, shared with the S-Class, and following along with the S-Class’s lead otherwise, this C-Class grows to 17 cubic feet in the trunk, upgrades materials and improves efficiency in the base C300 with a new engine that should do just as well as the last in terms of performance and makes a few tweaks to the larger V6, though neither of the engines has been rated yet. The lineup for this debut is a bit limited, but U.S. markets can look forward to a new coupe, cabriolet, entry-level C250, C-Class Plug-in Hybrid, C450 AMG Sport and C63 AMG in the coming years. The wagon is slated for overseas only. Two 2015 Mercedes-Benz C-Class trims will launch in the States for this model year. The presently entry-level C300 has a new 2-liter turbo banging 241 hp and 273 lb-ft of torque out of its 4 cylinders. The C400 uses a re-tuned version of its twin-turbocharged 3-liter V6 engine good for 329 hp and 354 lb-ft of torque. The C300 is offered with rear-wheel drive or 4Matic all-wheel drive, whereas the C400 is 4Matic only. Every C-Class directs all that performance via a 7-speed automatic transmission, which was also modified pretty heavily this year. The C-Class's newly refined 7G-Tronic Plus Automatic Transmission system sees updated disk linings and materials over last year, and all software from engine to transmission has been optimized. Even the hydraulic circulation was completely redesigned with new transmission fluid and modified additives. Gear ratios were also redone to decrease noise, but that also means the driving character is significantly different year over year. Early test drivers call that change a very good thing, even calling this C-Class the best small sedan they’ve driven in this segment so far. An Airmatic suspension will be offered for the C300 and standard in the C400 for that famously beautiful marriage between luxury and sporting performance with noticeably different modes to choose. That said, Sport+ is simply able on hairpin turns—for a good bit more excitement, you should certainly hold out for an AMG. Switch to Eco for savings on city roads, Comfort for luxurious performance or Sport for just a bit more stability in the sway. Sit inside this C-Class and you’ll find metallic-look panels in the doors, an awe-inspiring waterfall dashboard, and many modernized features adopted from the S-Class flagship. One such feature includes a remote touchpad control at the center console that allows passengers to manipulate the COMAND Online infotainment system through specific finger gestures. Alternatively, you may use COMAND’s buttons or voice commands to manipulate its features. Under the cabin every bit of suspension and frame is retouched to let you take advantage of its improved agility, steering response, and handling, varying itself to you as a driver and speed conditions. 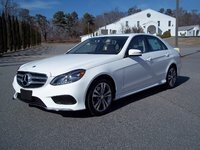 This C-Class is clearly built to go the distance and offer comfort in every mile for every passenger, ably responding to criticisms in previous years regarding a particularly “cozy” character for a stunning finish today. Standard convenience technologies include much of Benz’s Intelligent Drive suite with features like radar-based adaptive cruise control with steering assist (Distronic Plus), lane-keeping assist served up by a pair of cameras and brake assist with cross-traffic recognition (BAS Plus). Options include things like automatic parking (both parallel and perpendicular), 360 degrees of cameras plus a bird’s-eye view, and traffic-sign recognition that alerts the driver about Wrong Way, No Entry, No Passing, and Excessive Speed signs. In all, this C-Class is more like a miniature S-Class flagship than an entry-level model. 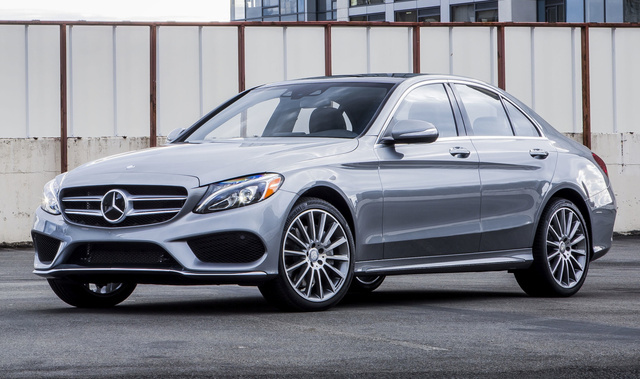 What's your take on the 2015 Mercedes-Benz C-Class? elahraf Where is the Coupe.2015 MB C class coupe made. The USA or Germany? What are the differences between the 2015 and 2014 models? Is there a new model in the near future? Users ranked 2015 Mercedes-Benz C-Class against other cars which they drove/owned. Each ranking was based on 9 categories. Here is the summary of top rankings. 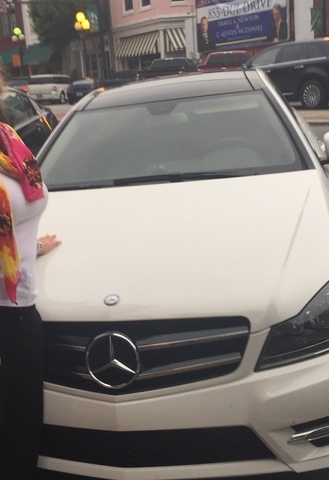 Have you driven a 2015 Mercedes-Benz C-Class? Anyone know what this us! Hi, I recently bought a mercedes c200 2015 and i’ve found a round black and gold merc logo thing with a red button on the other side. I can’t find any info about it. i was hoping you could help?